Join us to keep up with the latest inside stories, discuss emerging developments and design your roadmap of successful EU advocacy in 2019 and beyond. 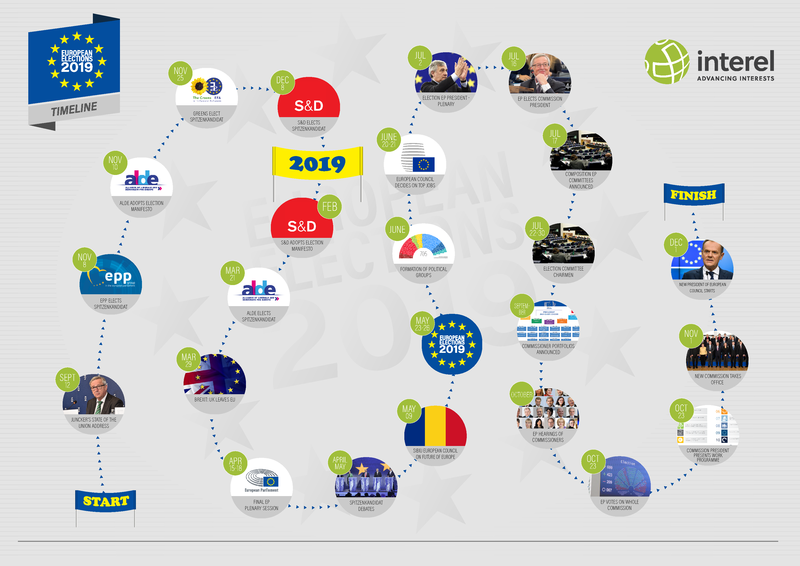 European Parliament elections, a new Commission, Brexit: 2019 can be considered as one of the most transformative years in recent EU history. Significant changes in stakeholders, structures and priorities require those who aim to influence EU decision-making to update their approach and reshape their network. This ESAE-Interel executive association series is designed for association leaders who wish to successfully tackle the challenges and take full advantage of the opportunities of the EU super-year 2019. This executive association series is designed for secretaries general, directors general, heads of public affairs and other senior staff involved in association advocacy strategies. It is held as a high-level peer-to-peer exchange under Chatham House Rule with the intention to share insights, concerns and good practice. The series will be led and facilitated by Richard Steel, a Senior Associate at Interel and head of its Parliament Intelligence Unit. Richard has 30 years’ experience of working in and around the European Parliament, informing and advising clients on the latest developments, and providing early warning on what lies ahead. He has worked for a large number of international associations, mainly in the fields of energy, environment, food, and health. Other association leaders are invited to present good practice and cases for joint discussion. The series is composed of 3 workshops, placed at key milestones of the EU Super-Year 2019. While it is possible to join only one of the events, you are highly encouraged to participate in all three to benefit from the continuity and build-up of content and discussions. A certificate of distinction will be issued to all that actively participate in all three events. Download our roadmap graphic here.